Add a 32mm Lightweight Tubular Adjustable Front Anti-Roll Bar to reduce body roll, improve grip and stability while saving weight at the same time. 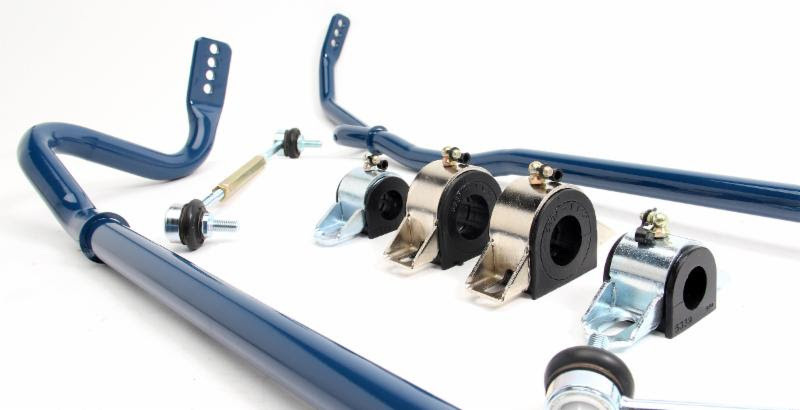 This anti-roll bar is adjustable from 57% to 103% stiffer than the stock bar. This 4 hole bar can be mounted in 7 different positions with supplied adjustable end links. 4 hole bar with 7 possible positions on the bar w/ supplied adjustable end links. Includes: Lightweight Tubular Adjustable Front Anti-Roll Bar, Adjustable End Links, Urethane Bushings, Heavy Duty Brackets w/ Grease Fittings. Add a 24mm Lightweight Tubular Adjustable Rear Anti-Roll Bar to reduce body roll, improve grip and stability while saving weight at the same time.This anti-roll bar is adjustable from 0% to 13% stiffer than the stock bar. This 3 hole bar can be mounted in 3 different positions with stock BMW end links.